Women on the Line is a pioneering ethnographic classic of the world of work in a British motor components factory. 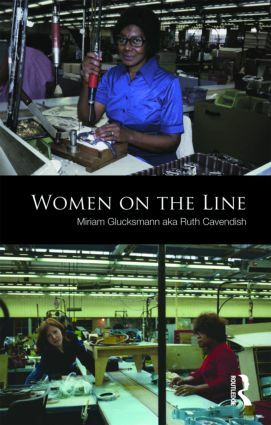 Miriam Glucksmann (aka Ruth Cavendish), a well-known contributor to the study of gender, work and employment, is for the first time revealed as the author, along with the identity of the company, product and factory. Recording the experience of migrant women from Ireland, the Caribbean, and the Indian subcontinent with the immediacy of a diary, this is a unique account from an observing participant of the daily routines of repetitive work, a strike led by women from below, and the temporalities of work, home, children and leisure. Glucksmann's vivid narrative of life on the assembly line is combined with an analysis of the intersections of gender, ethnicity and class that prefigures subsequent theoretical advances. This edition contains a new introduction situating the book in contemporary debates and developments and includes original photographs taken on the shop floor at the time.